Okay, I admit it: as I child I always lost my mittens. 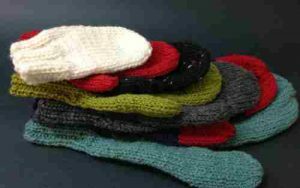 I think it was even written into my Grade 2 report card: “good student, but why does she always lose her mittens?” So my mother had to knit a LOT of mittens quickly. She thinks my easy two needle mitten pattern would have been the perfect solution for dealing with me. 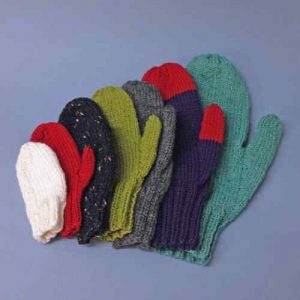 These mittens have no left or right hand as the thumb has been placed in the center of the mitten. 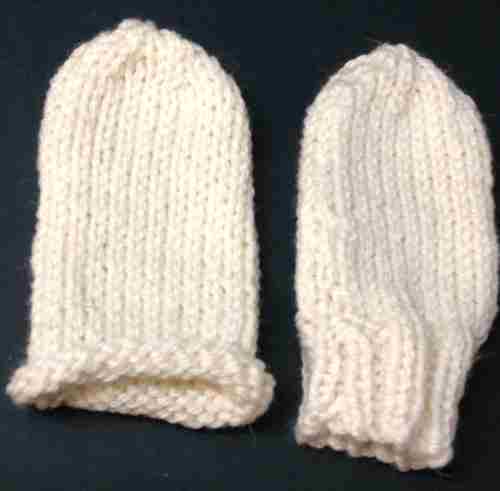 So you can make make three identical mittens and when one is lost, voila! pull out the spare. 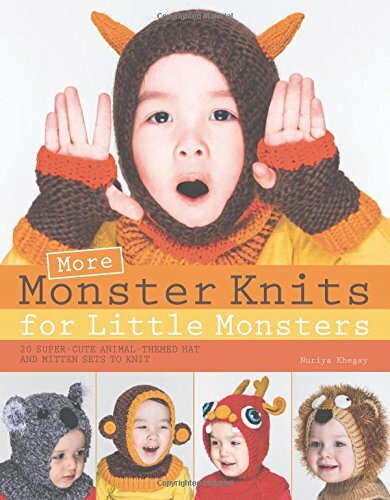 They knit quickly too, because the pattern can be easily memorized. I’ve included seven different sizes in this pattern which cover the range from baby to large adult. You could increase the warmth level and wind resistance by making two pair and tucking one inside the other. I wrote the pattern in the form of a table to make it easy to use. Just find the column for your size and work your way down it – piece of cake to do! 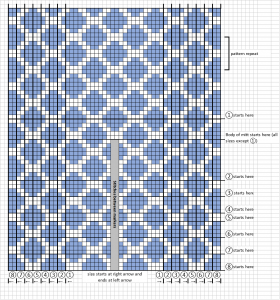 As usual variations on a theme are included: a simple rolled cuff to replace the 2 x 2 rib for the cuff, a graphic chart to make a lattice pattern, two colour mitten. And there is a blank copy of the mitten chart so you can create your own unique mittens. Just print out the blank chart and get out your colouring pencils! If you want to get this free pattern now, just click on the Download button. The technique featured in the pattern is the cable cast on – my go to CO. I’ve included links to how to do this cast on in the pattern, but you can also find them here. Mitten makers will probably tell you that making mittens on four needles is THE way to go, buy really, who wants to do an itty bitty thumb on 4 needles? 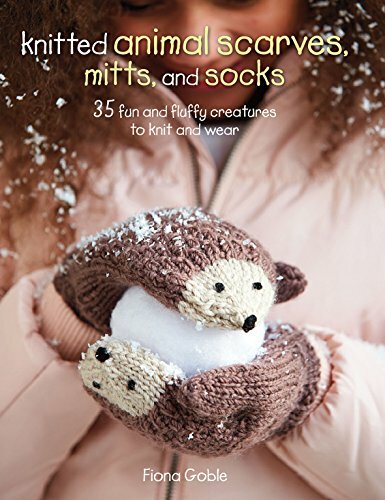 Extend your skills with Fiona’s book of aninal knits. These are fairly easy to create and the animal faces are magical. The projects presented in this book are easier to create but are whimsical and fun to do. Your kid will look really cute!